Our two exciting programmes are aimed at keen adult amateur musicians and budding professionals. We tackle a very wide range of challenging repertoire in a fun, friendly and supportive environment. Come and play pieces you’ve always wanted to try! An opportunity to tackle exciting repertoire that most amateurs don’t usually get a chance to play. The week is suitable for experienced orchestral players with excellent sight reading skills. Scholarship places, which waive all subscriptions, are available to young string and harp players and there are some subsided places for full-time students. A fun weekend for brass players, playing in different-sized ensembles and making good music with like-minded people. Less than a week to go until Easter Orchestra at Ellesmere College! This time next week, we'll be getting stuck into Janacek, Strauss, Part and Panufnik with Tom Hammond and Mike Thorne conducting an orchestra of more than 80 amateurs and students. Owing to one last minute student drop out, Easter Orchestra 12-18th April 2019 at Ellesmere College https://t.co/W1iwGlqKYK has a single fully funded scholarship for a violinist aged 18 to 25 (we may also consider a cellist). Contact easterorchestra @gmail.com to express interest. 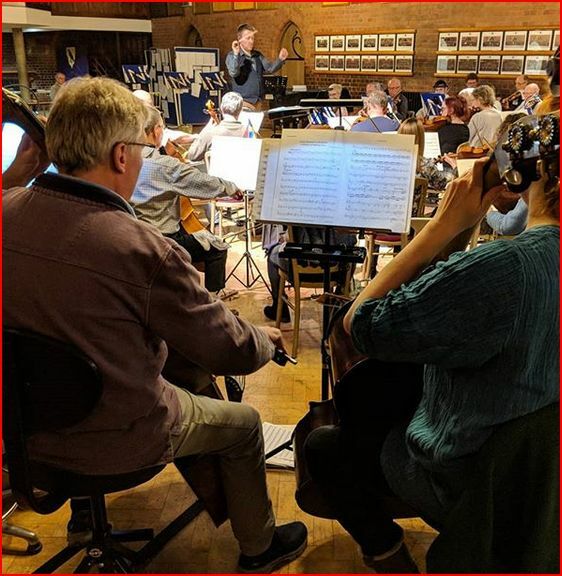 Easter Orchestra is at Ellesmere 12-18th April. We have a couple of spare places for violin & viola only. So if you would like to join the fun, and be part of one of the largest orchestras we've ever had on the course, please go to https://t.co/W1iwGlqKYK for more info. Easter Orchestra 2019 is set to have the widest geographic range of participants we've ever had: applications include players from four countries outside the UK! And with Richard #Strauss, #Janacek, #Panufnik and Arvo #Part amongst the study pieces, this is hardly surprising. The Easter Orchestra Society (EOS) has been running orchestral weeks in the UK since 1977. We run two programmes each year: the Easter Orchestra Week and the Brass Weekend. Our Musical Director is Mike Thorne. Tom Hammond is our Assistant Musical Director. The orchestra is led by Margaret Holter. The Brass Musical Director is Shaun Matthew. EOS is a registered charity, no. 1153970.